Rick’s Braised Beef Short Ribs | When I Survey . . .
We got our first blanket of snow the other day here in the Berkshires, so it was time to make some comfort food. 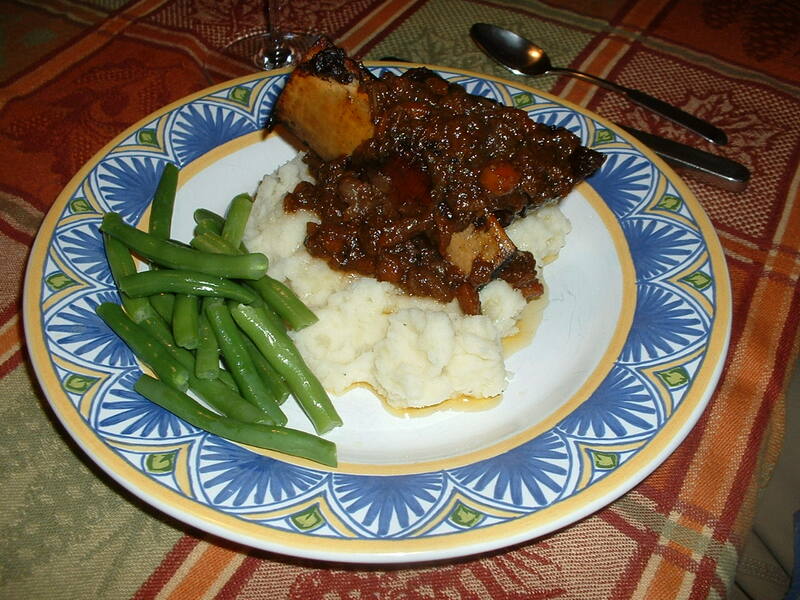 Cold weather always gets me thinking about stews and braises, and one of my favorites is beef short ribs, which are the ends cut off the prime rib. They’re relatively cheap to buy and really easy to make. I don’t have the recipe my mother used to make them with, but I know it involved painting them with ketchup, and it may have had dried onion soup mix (remember that?) in the braising liquid. Whatever was in them they were a treat. Preheat oven to 350 degree F. Salt and pepper the ribs. In a Dutch oven or oven-proof pot with a cover heat the oil over medium high heat and brown the meat on all sides, being careful not to burn it. Do this in batches and don’t overcrowd the pot. Also, dry the ribs with paper towels so they will brown properly. When they are nice and brown, remove the ribs to a plate, turn down the heat to medium and add the chopped vegetables, stirring until they take on some color. 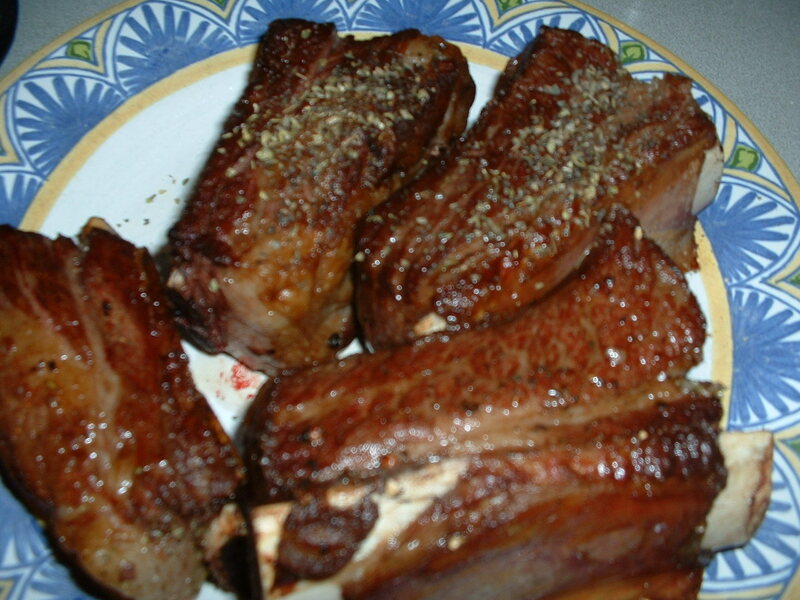 I like to put a rib on each plate over mashed potatoes with a few spoonfuls of the rich braising liquid, but this is nice to over polenta or rice. Some green beans (or a salad) and some crusty bread and you have a simple and comforting meal. For a wine pairing I suggest any hearty dry red. This is humble dish and needs a sturdy humble wine. I served our current Italian house red with this, MasciarelliMotepulciano d’Abruzzu, which is also the wine in the braising liquid. Enjoy.